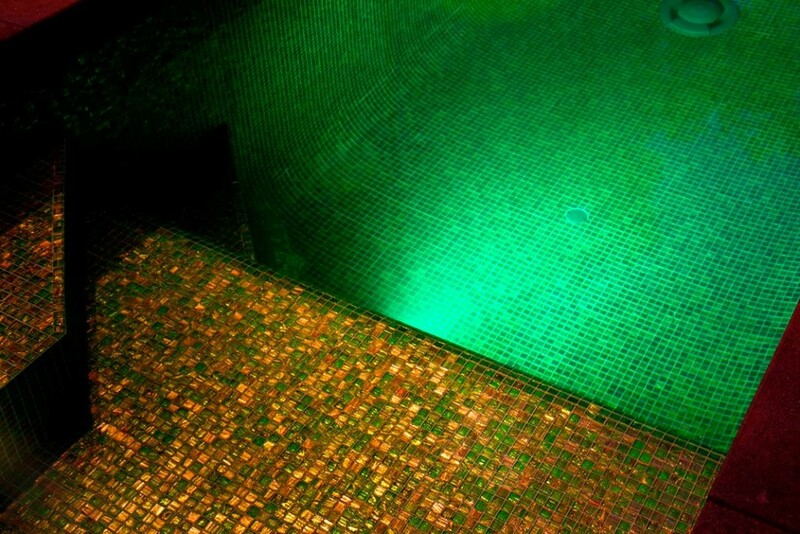 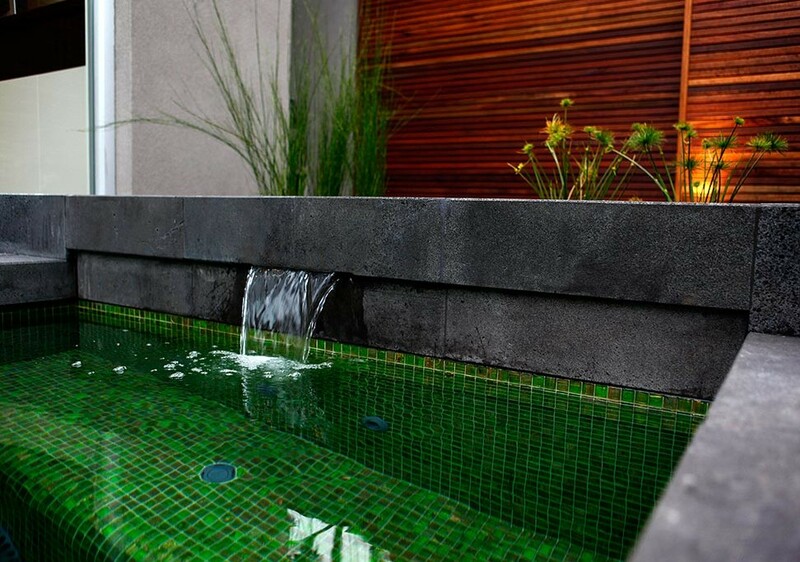 Bisazza glass mosaic tiles are the feature of this courtyard pool and landscape combination. 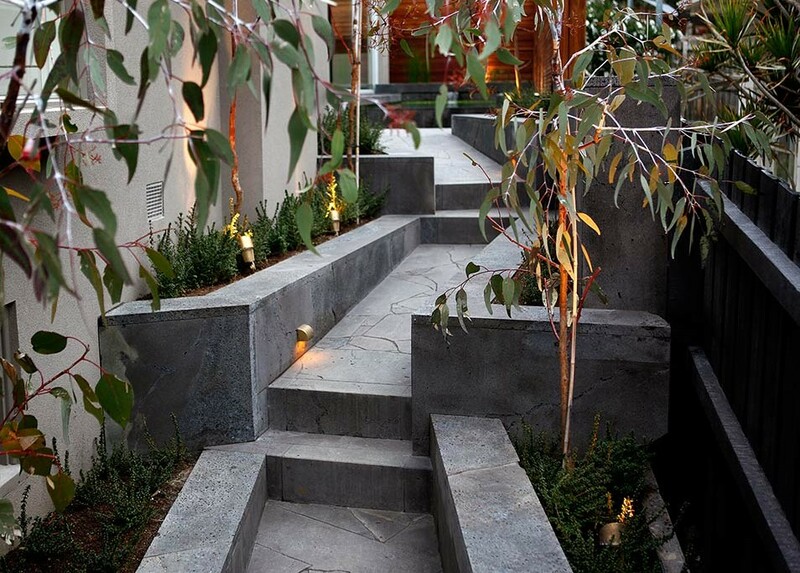 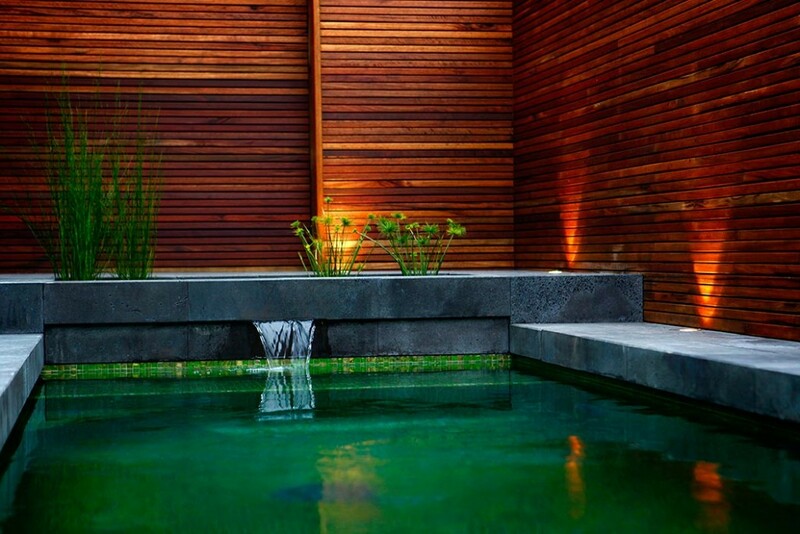 Framed with Bamstone bluestone paving the pool features a fresh water pond and a negative edge spillway. 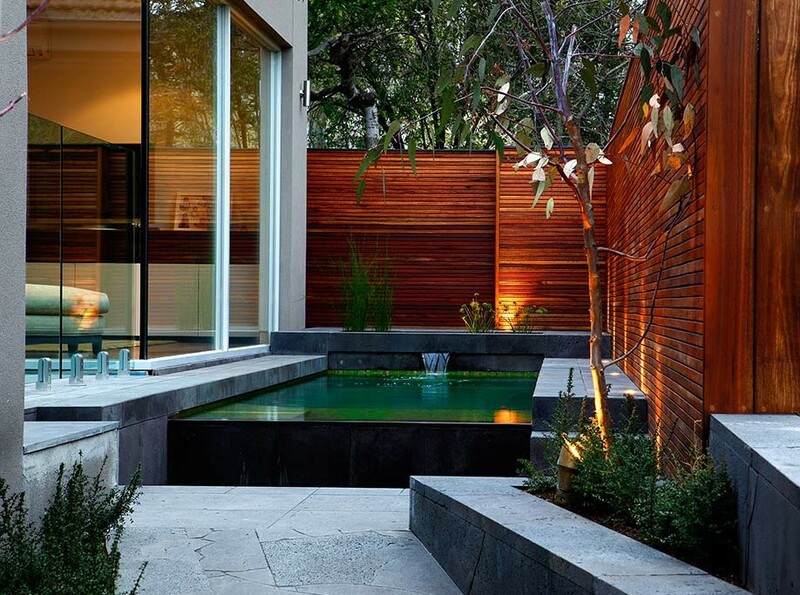 The spotted gum slatted fence provides an elegant surround whilst also offering privacy from the neighbouring properties. 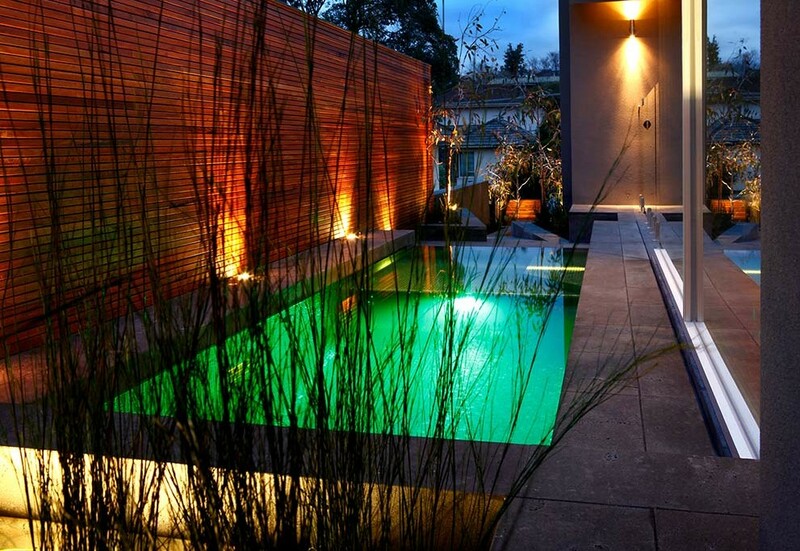 Recognised with a “Highly Commended” award at the 2011 SPASA awards this project showcases our approach to innovative design and the use of the highest quality materials.